Darlene McCarthy Barnfield is a freelance journalist currently living in Bermuda, Boston and London. 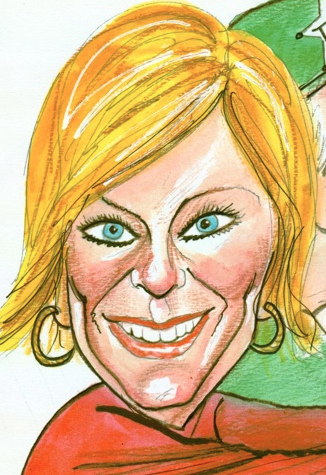 She has worked as an anchor and reporter for both the Boston CBS and NBC television affiliates, as well as a special correspondent for the nationally syndicated show “America’s Most Wanted.” She was co-host of “McCarthy & Vigue” and “Leave It To Divas” two radio talk shows on WRKO-Boston, which were among only a handful of female hosted talk shows in the U.S. Darlene has also been a frequent contributor to the Bermuda Sun Newspaper as well as a reporter and columnist for the business and lifestyle publications, THE BERMUDIAN BUSINESS MAGAZINE and THE BERMUDIAN. Now the international pool of subjects she picks from revolve around a triangle: The three international villages of Bermuda, Boston and London…. and beyond. Close to her heart are the kinds of stories that resemble her most successful newsroom assignments: Ones that inspire, teach and connect us to one another. I always wanted Brenda Starr’s job. 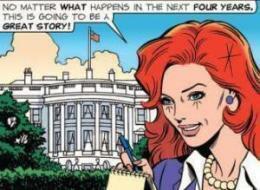 It didn’t matter that Ms. Starr “Starr Reporter” was a fictional comic book character. I wanted to do what she did. Ask questions, and tell stories. Perhaps it is the Irish in me. I always believed a good story beat a joke joke every time. And I figured I was a natural. But it was hard to tell in the beginning. On my first job interview I offered to work for free. Paid work did follow. And the enthusiasm for conversations that turned into stories to be told never waned. There is nothing better than discovering fascinating people or ideas and getting on with the job of telling everyone all about them. So, I did. On television, on radio and in print. A fellow journalist once described me as “the woman who has never had an unspoken thought.” I think it was a chastisement, but I didn’t take it that way. Fascinating information, people and ideas are always better when shared. The best tales teach and entertain. They inspire “thinking” and conversation long after the story has been told. And now the woman who has “never had an unspoken thought” has a BLOG. I think Brenda would approve.